Moving out chocolate brown beanie caps to make room for our new brown baby beanie caps means that you can now grab up these at an unheard of price. Just don't tell our accountants, they'd up and quit if they new what we were up to!!! A very limited supply is left. 2-ply interlock cotton beanie style cap. 100% Interlock Cotton, 210 GSM. 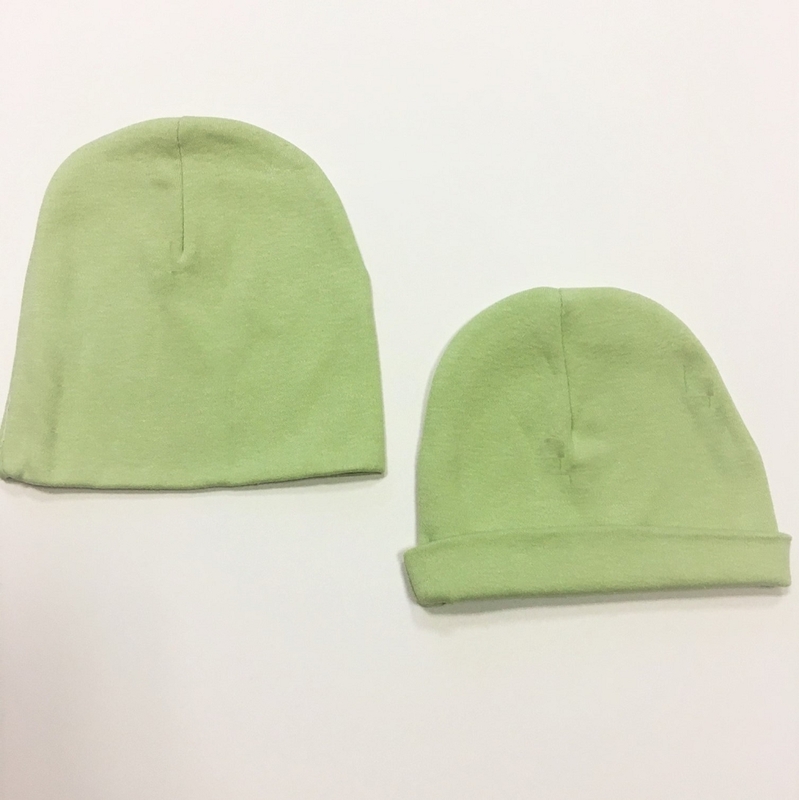 Your clients will love the consistency and stay-on power of these soft Wee Wearz caps. They are perfect for right out of the hospital as well as during colder seasons. Recommended fitting is from 0 to 9 months. Q: Is this for newborns? Q: Is there a matching chocolate brown onesy?